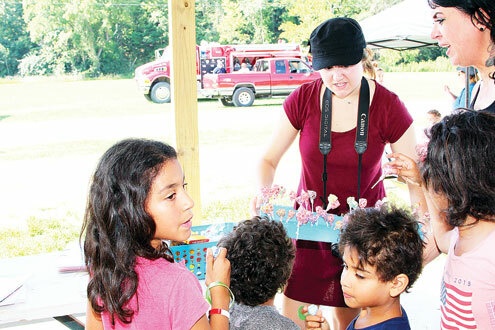 The Pike County Fairgrounds were full of people on Saturday, Aug. 11 for the annual Back-To-School Fair held by the Pike County Community Care Partnership. More than 800 backpacks full of supplies were prepared for local kids. Many other vendors also gave out school supplies. 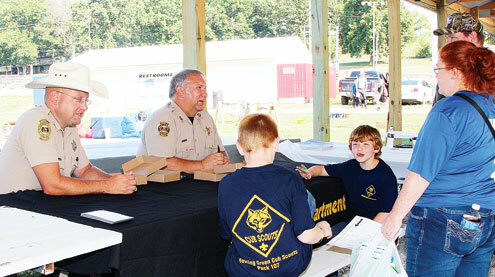 Above: Pike County Sheriff Stephen Korte and Deputy Chad Perkins talk to kids. Above: Taylor Blackwell explains a game on behalf of the Student Council. Check out more highlights on page 4 of this week’s print edition of The People’s Tribune.